Earlier this week, the site Wikileaks and a handful of newspapers around the world published 90,000 American military logs on the conduct of the war in Afghanistan. For some historical perspective, here are a few comparisons between the leak of the Afghan reports and the leak of the Pentagon Papers in 1971, a 7000-page internal report on Vietnam that revealed lies by multiple presidents on the motivation and conduct of that war. While we may argue about similarities between the content and impact of these two leaks, the differences in their means of publication – one in the broadcast era and one in the digital era – are nothing short of staggering. 1969: Daniel Ellsberg, the man who leaked the Pentagon Papers, begins xeroxing copies of the report. He plans to distribute these copies to people who will publicize them. This photocopying process takes several months where he removes sections of the report from his office at the Rand Corporation and often works on the photocopier through the night. 2010: The report would be in a digital format and he would have been able to transfer it to a high-capacity flashdrive in a few minutes. 1969: Ellsberg physically delivered the report to people he hoped would publicize it or take action to stop the Vietnam War. He gave the papers to certain members of Congress in 1969, then to reporters. This involved secret rendez-vous where a large box of papers was transferred between car trunks, which endangered both him and the recipient. 2010: CD, encrypted email, USB, FTP – the transmission methods today allow fast transmission on a massive scale using multiple methods. He could have emailed the report to all members of Congress and reporters in a few hours from any location in the world… or uploaded them to Wikileaks. 1971: Although Ellsberg gave the papers to members of Congress in 1969, these Congressmen just sat on them, afraid of repercussions if they spoke about them publicly. As a results, Ellsberg gives the papers to the New York Times in March of 1971, but is takes months of legal and editorial wrangling for the Times to decide whether to publish the papers. They are also afraid of legal repercussions. The first Times story on the papers in not published until June of that year. 2010: Julian Assange gives the New York Times an advance copy of the Afghanistan reports, yet their role has changed. As in 1971 Times reporters review and provide analysis of the leaked content, but unlike 1971 they no longer play the role of gatekeeper. Reporters know that Wikileaks will publish the reports whether or not the New York Times does. 1971: A few days after the first story is published, the US Attorney General, under orders from President Nixon, successfully files an injunction against the Times, preventing it from printing more articles about the papers. 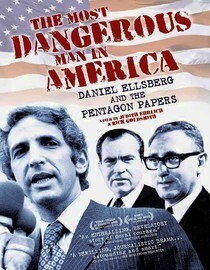 Ellsberg delivers the papers to the Washington Post, which publishes an article before also receiving an injunction. It seems that may be the end of the leak. Fortunately, Ellsberg convinces a dozen other papers to publish the reports, essentially killing the injunction. 2010: Today, had an injunction been filed against the Times or Wikileaks, one could easily imagine a blog or Twitter campaign in which ordinary citizens would publish the content of the papers, resulting in not a dozen newspaper leaks, but thousands or millions of citizen-generated leaks. Sources: chronology from TopSecretPlay.org, documentary “The Most Dangerous Man in America: Daniel Ellsberg and the Pentagon Papers” available on NetFlix, video of panel “PdF ’10: Julian Assange and Daniel Ellsberg Talk Shop” on Tech President. Good comparisons throughout, but these advantages are hampered still. Transmission is easy now yes, the problem is that everyone does it fast ad nauseum and there is too much information to sift through. Still it is true that an incendiary piece of news will beg attention. The Times and other press of historical means are still the gatekeepers for much of public opinion. I wonder some times if we show too much of our hand with free information; allowing the culprit of any devious behavior a forewarning of when to cover up or cease an activity. The censorship is also murky because instead of the historically proper channels of denial and inquiry, we have tacit denial and subterfuge. I fear the internet has a dull edge for breaking news.